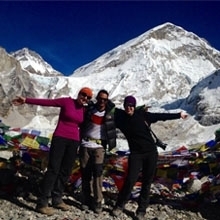 Trekking Planner Nepal is a legally registered company actively involved in providing enriching experiences of the lifetime to the adventurers and traveler from all over the world. With the dedication for a complete and meaningful adventure in this land of Himalayas and the birthplace of Buddha, we are passionate about providing the personalized trekking and/or traveling experience. We have over 20 years of experience and a team of professionals who speak varieties of languages including English, French and German. We provide the exact package that suits your needs; it doesn’t matter if you are an amateur heading for your first trekking/tour and is in need of a professional guide or an experienced backpacker searching for some off the beaten trails to explore the unknown, we serve you better. With specialization in small groups and handling of all issues related to logistics, Trekking Planner Nepal makes sure that the clients trek at the pace of their choice. 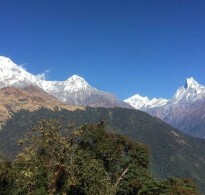 We also make sure that you can focus on your areas of interest including the need to explore several aspects of Nepalese lifestyle, culture, tradition as well as landscape, wildlife, flora, and fauna. You desire and we provide. You’ll just love the experience of trekking in the mountains of Nepal which is all exhilarating, beautiful, challenging and serene. As the saying goes “The best view comes after the hardest climb”, you shall encounter some challenges during the trek into the remote areas in the form of altitude and elevation. We would like to assure you that our knowledge of the environment and altitude related problems and the experience related to these challenges comes handy at the hour of need. 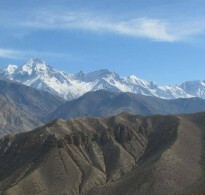 Our guides have the expertise in handling the challenges such as Frostbite, Altitude Sickness, and other diseases while trekking in the Himalayas. We always set your safety as our priority. Be it the case of immediate rescue or other difficulties you face during the trek, we always stand by your side. Be assured of that. You will always find some listening ears in our team of professional who makes sure to understand your need in the same sense you want to get in conveyed. We are committed to the philosophy of listening to our clients carefully, working closely with them and satisfy their needs and fulfill their needs. Join the team of Trekking Planner Nepal and get yourself professional service, assurance of safety and security and an experience like never before. Registered with the Government of Nepal, TAAN (Trekking Agencies Association of Nepal), NMA (Nepal Mountaineering Association), KEEP (Kathmandu Environmental Education Project), we conform to the standards and requirements set by these agencies. 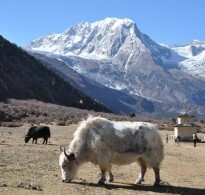 The tourists, travelers and adventure lovers who wish for some adventure and exploration in the land of Himalayas go for a Nepalese company for a number of reasons. 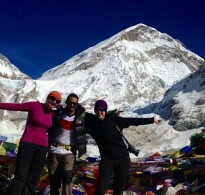 While the primary benefit of travelers using the services of Nepalese company is to contribute to responsible tourism, other reasons are related to the advantage of the backpackers. 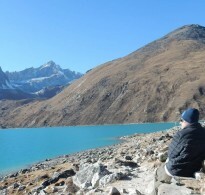 Getting associated with Trekking Planner Nepal, you shall have the benefit of our extensive knowledge and experience regarding landscape, culture, tradition, areas of adventure, handling of logistics and many other issues. To be more precise the reasons are mentioned as follows. The money goes directly to Nepal and stays in Nepal. 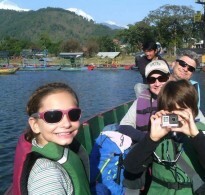 We are a company based in Nepal and have the professionals who are the locals involved in the tourism sector.